Chur Burger has been a burger phenom in Sydney for quite sometime now. Now they are bringing their epic $10 burgers to Brisbane! Thank Chur! Chur Burger now calls the super stylish TRYP Hotel in Fortitude Valley home. Their killer reputation obviously hitched a ride with them on their journey to Brisbane because the place was buzzing with hungry burger heads on our visit. Chur Burger is the love child of Warren Turnball. After their shop in Sydney burned down in March of last year, Turnball opened a small shop next door. From the ashes they came back, bigger and better than ever! 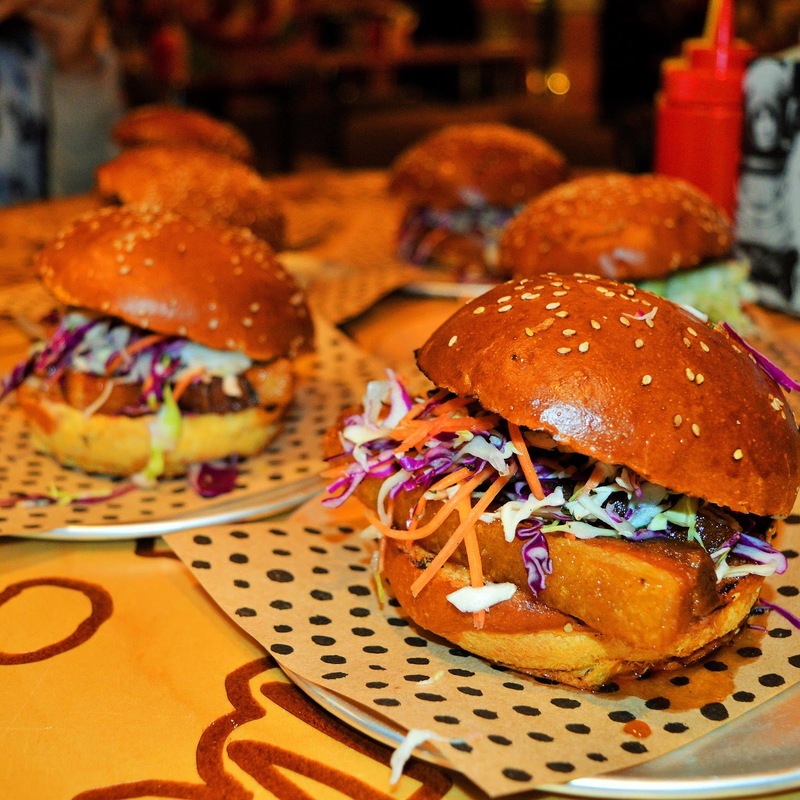 Chur Burger has already made a name for itself among Sydney food critics and bloggers! 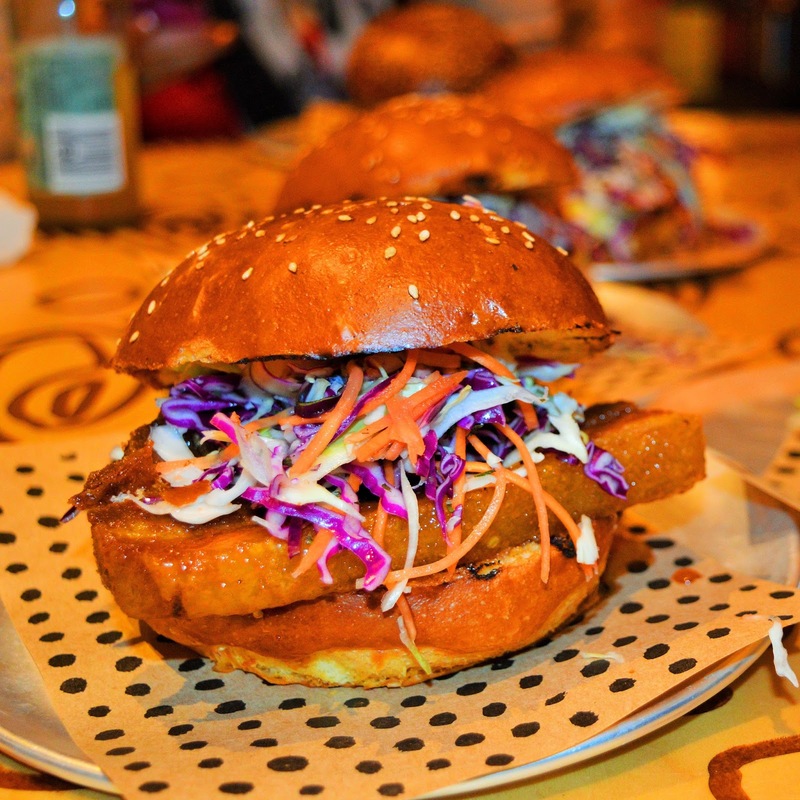 We predict many Brizzy food critics and bloggers will hop on the Chur burger train as well. They sure have us swooning. 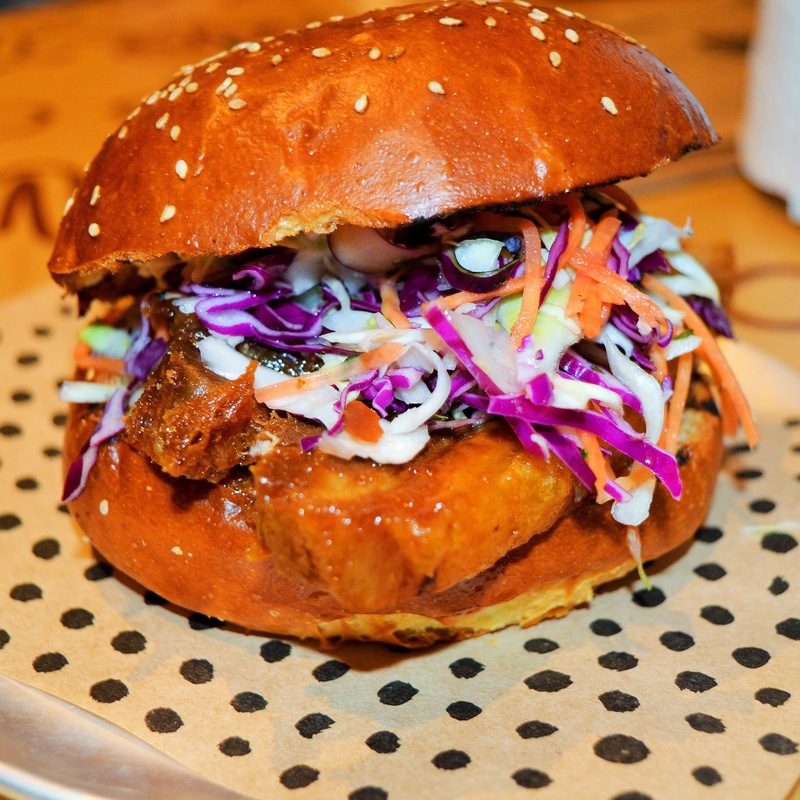 Of course we couldn't go past the Chur Special... with Crispy Pork Belly, Chilli Caramel, Slaw, and Aioli comprising this droolworthy burger we weren't surprised when our entire group of foodies ordered the same thing! 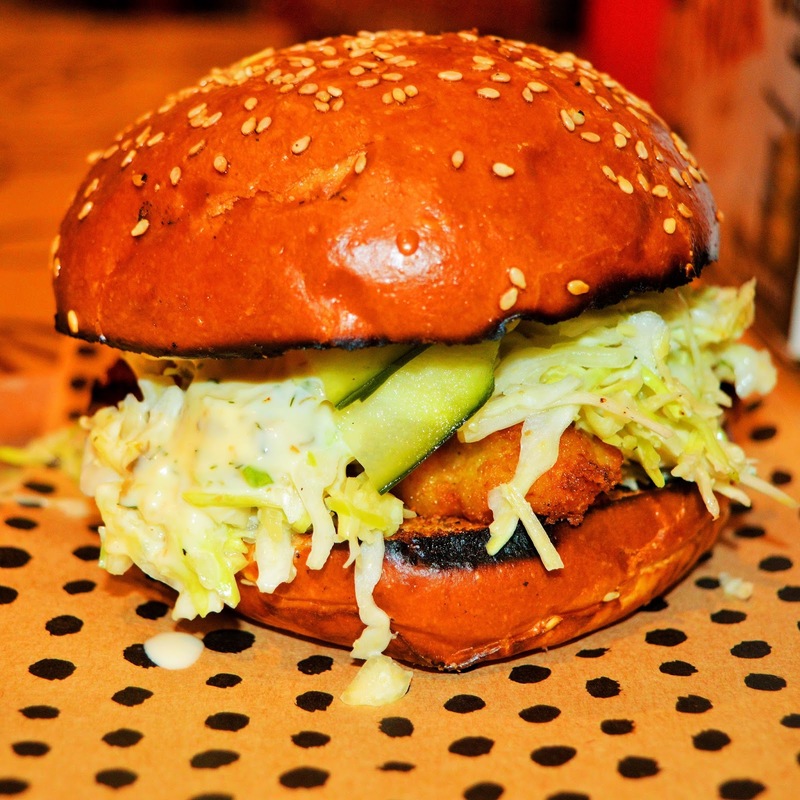 There's something for every burger connoisseur at Chur Burger. Pulled Pork...Beef...Lamb...Chicken...We are anxiously awaiting our next chance to visit. 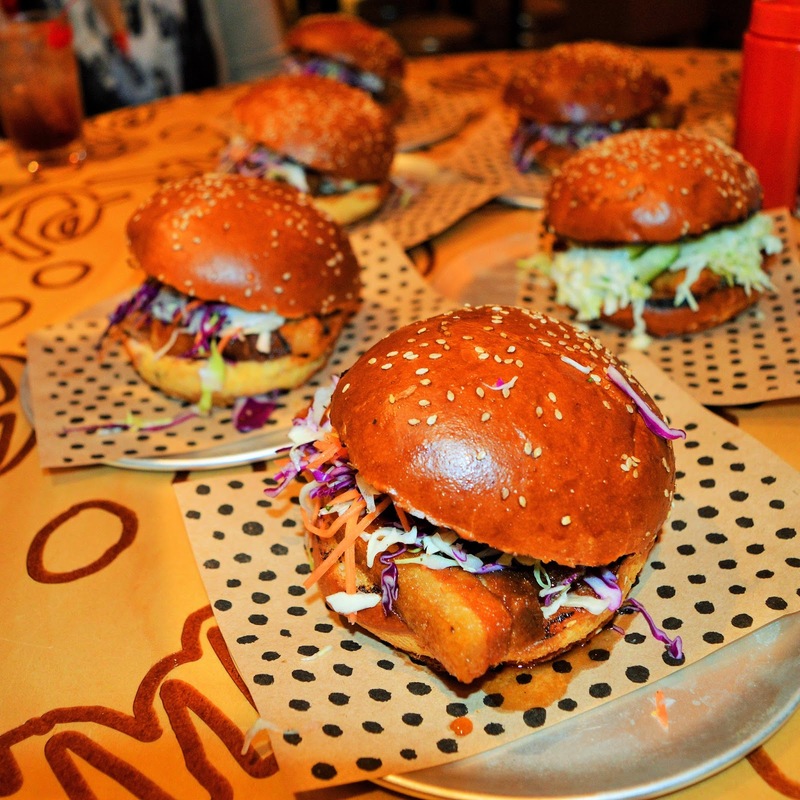 We've definitely go our eye on the pulled pork.